Layering plant material in the landscape is a favorite and often-used technique of professionals. 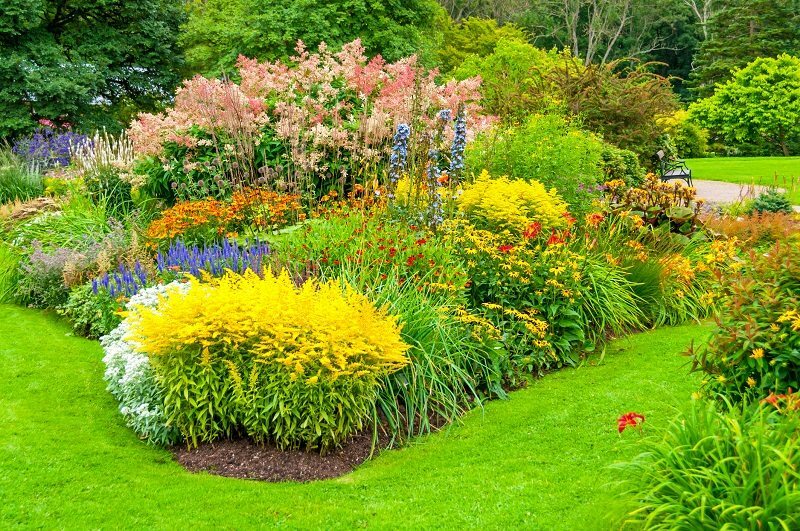 Layered plants, planted along with drifts and masses create spectacular color and form in any landscape. 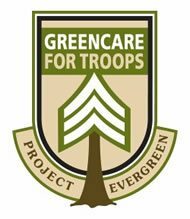 While layering plant materials may sound simple, it is an art most often practiced correctly by the professional landscaper and the experienced gardener. If you’re planning a landscape or an addition to an existing plant installation, consider plant layering for the best use of the plants you love and a high-end look. What Does Layering Plant Material Mean? Layering is simply the process of planting by height so that all plants are visible from an angle, such as the street or the window or deck of your home. Plant taller plants in back, with descending heights of plants coming out toward the front of the design. The width of the mature plants and the texture of the foliage is also a consideration. Add masses into the layers, planting in a straight row is not necessary nor is it the best way to use your plant materials. If you’re working with existing trees and even shrubs, you only need to add flowering plants as front layers. 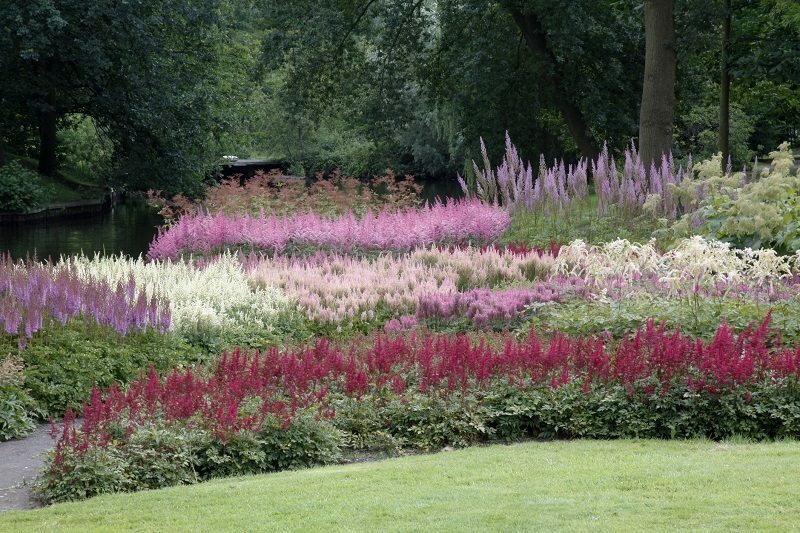 Whatever the situation, this method of planting most often results in a beautiful landscape. What Types of Plants Go in the Layer? 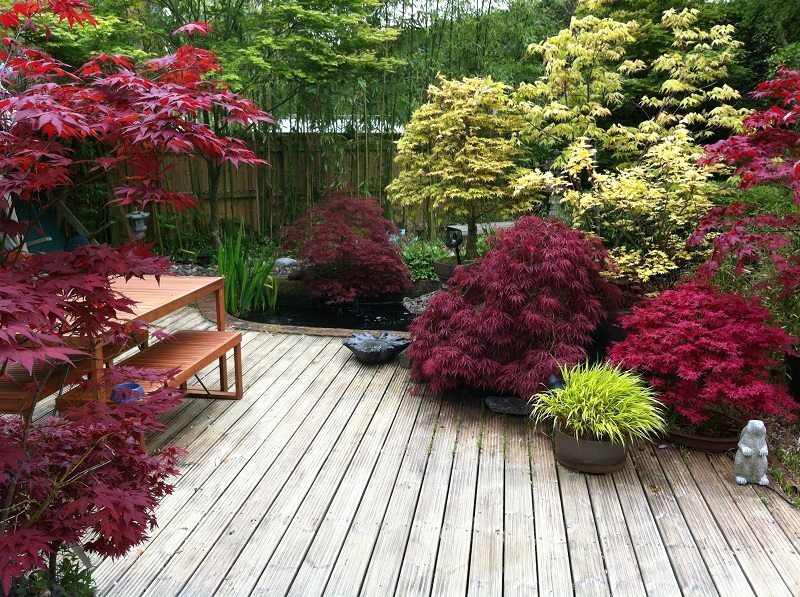 Existing trees, with an attractive and ornamental Japanese maple planted in front of them. Wherever it grows, the Japanese maple is an attention-getter. The layer in front of and surrounding this small tree can include drifts of the beautiful astilbe plant, in all white or drifts of various colors. In front of these, include a few mounding mondo grass plants for texture. For the lowest layer in front, add a flowering, sprawling ground cover, such as wave petunias. Substitute shrubs for the maple, if desired. A full sun spot would use different plant materials, although, depending on how the back layers of plants are planted, they may provide shade on the front layers. Knowing these small nuances are a significant part of the art of landscape design. Contact us for a beautiful, layered landscape design.